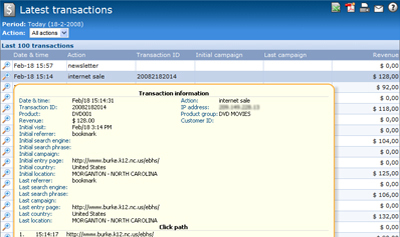 OneStat click fraud detection helps me to pay only for clicks that count!" OneStat provides you detailed online interactive reports about how to improve the visitor experience, leads, sales and online marketing campaigns. We also help you to share insight across your organization. Our reports and features are based on web 2.0 technology. 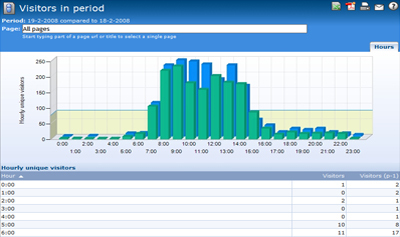 OneStat provides real-time and live web analytics. This means that you do not need to wait before the data has been updated. 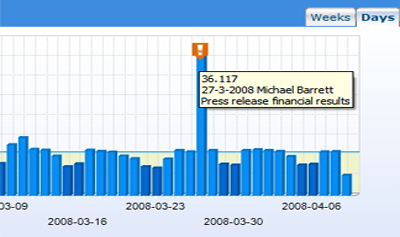 Explore visitor behavior live on a real-time graphical interface. View the most important facts of your website in one clear overview such as website traffic, map of the origin of your visitors, conversions, revenue and much more. 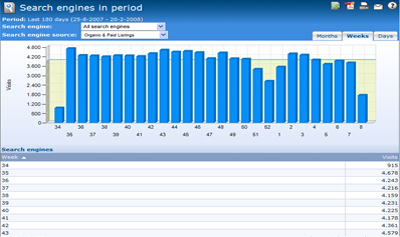 You can view the dashboard reports based on a standard or specific time period. You will see exactly how many page-views and visits you have for the complete website or individual page in a period, by hour and the average for the day of the week. Compare it with another time period and discover trends. Unique visitors. Drill-down and view details per visitor. 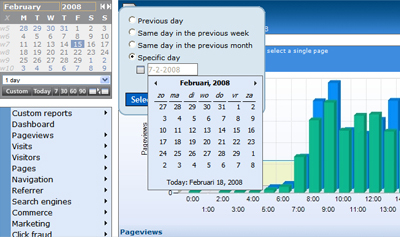 We provide you detailed reports about the number of unique and returning visitors for the complete website or individual page in period, by hour and the average for the day of the week. 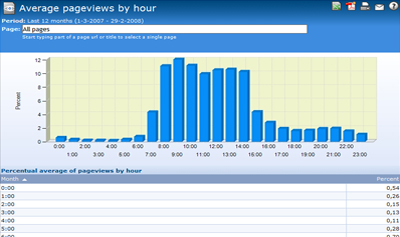 You can even drill-down and analyze the IP address, search term, referrer, origin and behavior per visitor. 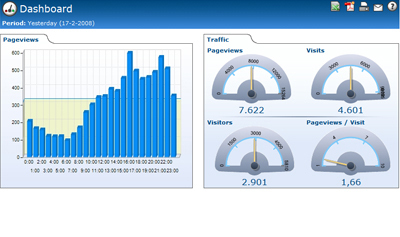 With OneStat web analytics you can easily improve the online visitor experience. 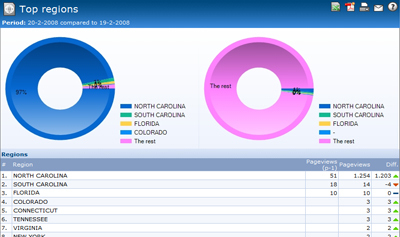 Our unique and state of the art clickpath analysis reports allows organizations to visualize and understand the flow of traffic through the site. We also provide you information about entry & exit pages and time spend on site & pages. 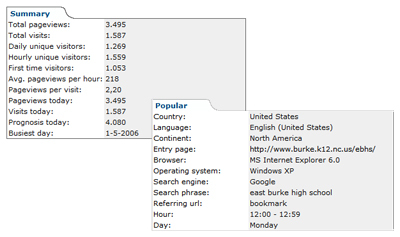 Of course we also show you which pages are most visited. We provide you with information on which search engines and phrases your visitors used to find your website. We maintain a list of hundreds of search engines worldwide which is continually updated. We even provide a list of phrases per search engine and search engine landing pages so you can analyze if you have optimized your website correctly for search engines. 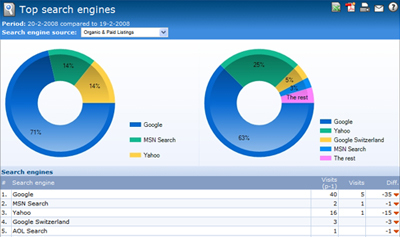 With OneStat website statistics you can exactly see who has visited your website. We provide you the company or ISP name of your visitors and provide you reports about the origin of your visitors such as continent, country, time zone, state and city. Our ecommerce reports will show you the performance of your online sales and registration pages, allow you to analyze the effectiveness of critical processes and improve it based on facts. 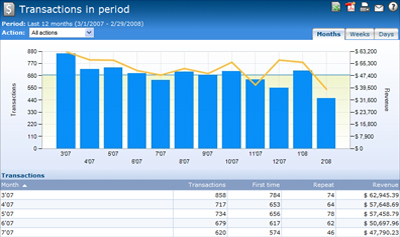 We provide detailed real-time reports about the latest transactions, revenue, most popular products and customer behavior. Track performance of paid or organic search, email, banners and affiliate marketing campaigns to improve the ROI of your marketing budget. 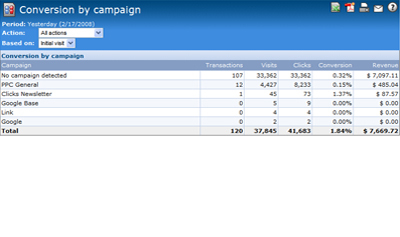 Detailed click fraud detection reports are included. Do not pay for clicks that do not count. 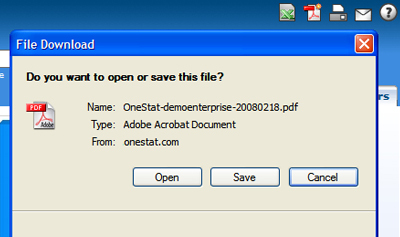 You can also easy share insight across your organization with OneStat. 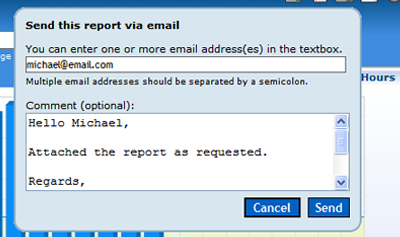 We can automatically send you and your co-workers or management scheduled email reports in PDF or HTML. 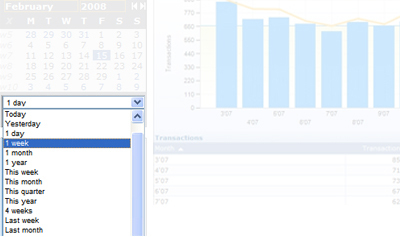 You can export and download all the reports into Excel. 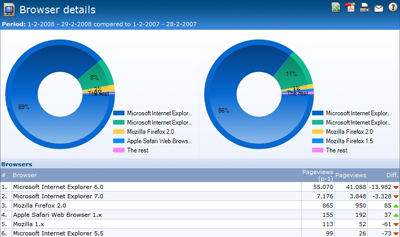 We provide you detailed information about browsers, operating system, color palettes and screen resolutions. 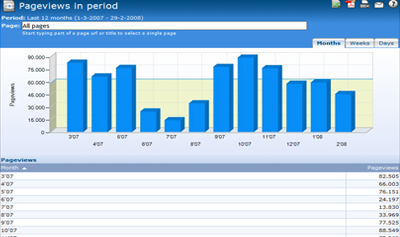 We can even detect mobile devices and show you which mobile device your visitors are using. With event management you can see the reason why you had more pageviews, visitors, leads or revenue for a specific period. 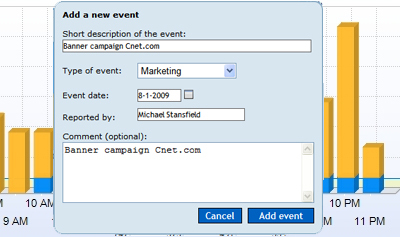 You can easily add an event to the reports such as a newsletter, press release campaign etc. How it works. Easy to implement. To view the reports you login on our website. We will automatically update the reports. 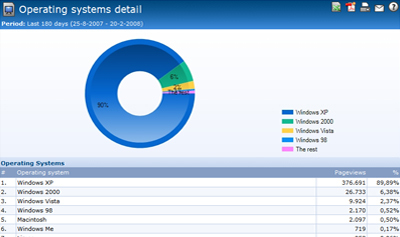 OneStat can track every website or intranet such as static HTML pages, dynamically generated pages by a database, PHP or ASP. We also track secured (SSL) pages at no additional fee. 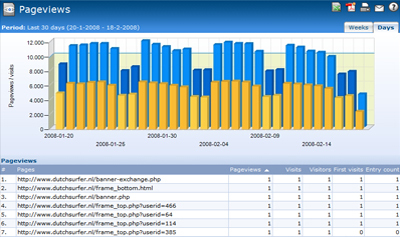 Visitors are tracked based on IP address, cookie and browser string. We have one of the largest IP databases of 2.3 million IP ranges.